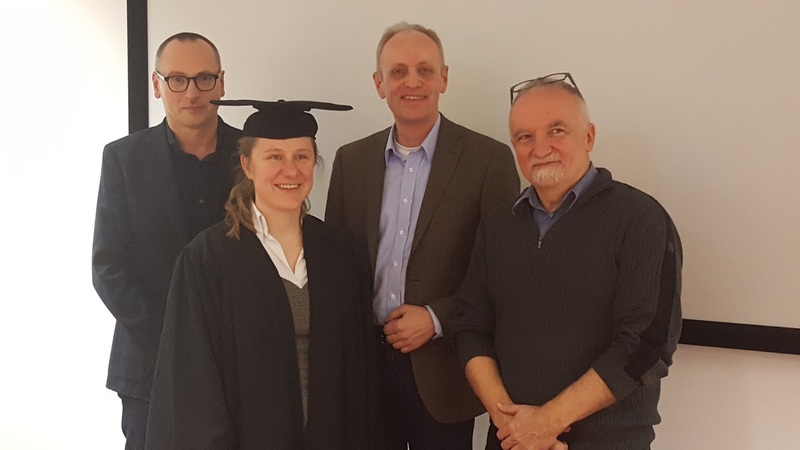 Cornelia Schneider successfully defended her PhD Thesis “Methods for recording, processing and evaluating human movement data in the context of Active and Assisted Living”. While working for the “Salzburg Research” (SR), a research institution owned by the provincial Government of Salzburg, Cornelia has been associated PhD to the Doctoral College “GIScience”. At SR, she is the head of the competence field e-Health. In her PhD, she contributed to tackle a major problem Europe aging Western societies are facing: The aging population will lead to a growing number of older people suffering from various ailments and consequently will be in need of support. Thus, the development of information and communication technologies (ICT) based assistance systems is of increasing importance. These so-called “Active and Assisted Living (AAL) solutions support older people to live independently as long as possible by maintaining and improving their quality of life. In particular, the Thesis is based on research projects dealing with the development of a mobility assistance system and addressed research questions such as where patients typically stay, where they have been or where they most likely are going. This is answered by means of movement analysis together with complex spatio-temporal analyses. Next to technical and methodological issues of recording, processing and evaluating human movement data, usability of systems and how to deal with privacy concerns were major foci in this work which builds a significant contribution to the future development of mobility assistance systems. We wish Cornelia all the best for her future endeavours!